The Mano Percussion 1601 congas feature quality selected wood shells, metal rims, and natural skins. A unique carved out ring and protective rubber base add to the attractive appearance of the high-gloss lacquered shells. The black Mano Percussion "round-about" curved rims are combined with select natural rawhide tucked heads to produce a full-bodied tone with a "punchy" slap sound. 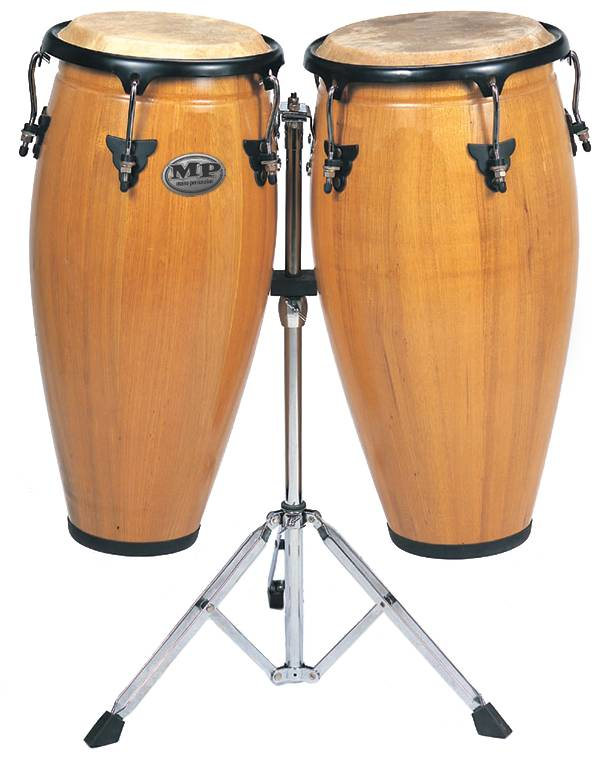 Each set comes with the Mano Percussion double-braced, height adjustable double conga stand.